Here is a complete list of all handlers in the different files <Install_path>\svs\sample_scripts\sep.inc. *.php and their purposes. The parameters of each handler can be found in these files. There is additional information to define more specific reactions. For example, the name of the saved database is passed to OnDatabaseSaved such that the script is able to branch accordingly. Executed by the System Supervisor when a user tries to login. Only used when option “workerlogin information” is passed to the Jedox OLAP Server. Executed by the System Supervisor when a user tries to logout.Only used if some option of type “workerlogin” is passed to Jedox OLAP Server. Executed by the System Supervisor when a user tries to login. Only used with “workerlogin authentication “option. Returns true or false depending on the success of the authentication. Executed by the System Supervisor when a user tries to login. Only used with “workerlogin authorization “option. Return true or false as well as the set of groups the user belongs to (inside the array passed to the handler). Executed by all workers when Jedox OLAP server stops execution. Executed by the System Supervisor when a database is saved. Called by all workers when Jedox OLAP server sends a termination signal. This happens, for example, when a cube has no set of hot cells and the Jedox OLAP server terminates Cube Supervision. Inside the function “InitCubeWorker” a user can define one set (cube slice) of cells for every cube and link each of these “hot areas” to its own callback PHP function that will be executed if the user changes the value of a cell inside the set. Note: in the case that you have customized Version 7.0 scripts, please check them if adaptions must be done for the current Jedox version 1). Inside the function “InitDimensionWorker“, a user can define one or several dimensions to be watched for changes. Each of these watched dimensions can then be linked back to its own callback PHPfunction that will be executed if the defined event (creation, renaming, or deletion of an element) occurs. Note: the triggering action is executed in the OLAP server; the trigger to Supervision Server is merely to notify it that the event has occurred. 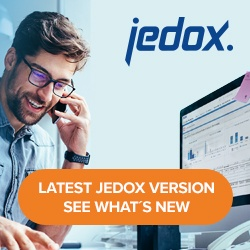 For scripts, which you have used in Jedox Version 7.0, you must check if the code will also work in the current Jedox version.